It's a hub of learning and collaboration. It’s the place where local businesses gather. And it’s where Warren Buffett sent his first tweet. 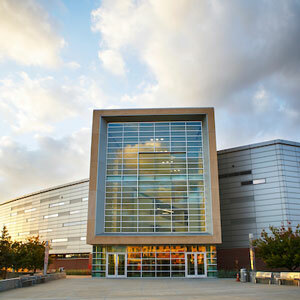 Opened in fall 2010, Mammel Hall is home of the College of Business Administration. 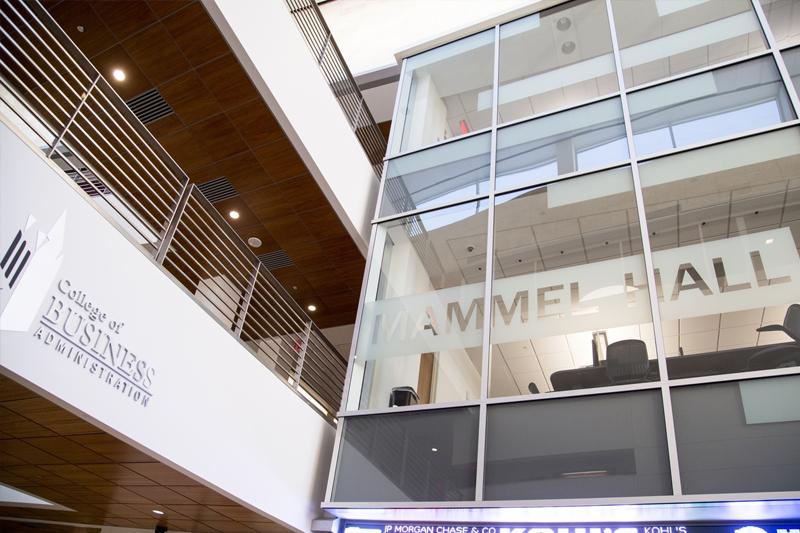 The features and technologies in Mammel Hall create a professional, inviting environment for students, faculty, staff and visitors. Made possible by the largest single donation in UNO’s history, it was specifically designed for business students — offering collaborative breakout rooms for team projects as well as open areas and private settings for independent study. Mammel Hall is also green-friendly. 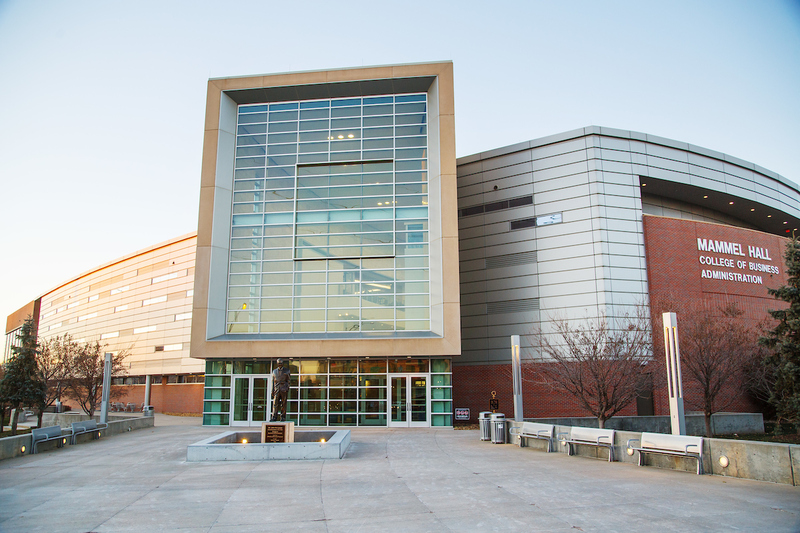 It’s the first LEED (Leadership in Energy and Environmental Design) gold-certified academic building in the state of Nebraska. All signage is digital and powered down to conserve resources overnight. Outside, rain gardens capture runoff from parking lots to help remove pollutants and nurture a native garden. Would you like to hold your event at Mammel Hall? The building can accommodate small or large groups and has impressive spaces to provide your organization with an amazing experience. For more information, call 402.554.2303 or email unocbainfo@unomaha.edu. Want to reserve a Mammel Hall breakout room? Students may use breakout rooms for group projects or study sessions. Learn more about reserving a breakout room.